Lovely spacious north facing retirement home in secure estate. Double garage tiled floor and a bonus... lots of cupboards with direct entrance to the scullery with granite tops and separate large modern German imported kitchen with soft close drawers and built-in fridge. Lovely Siemens oven and gas hob, solid wood counter top / breakfast nook. Large open plan Kitchen, living and dining area with a wood burning fireplace for those chilly nights and double doors leading to a lovely entertainment area and manicured garden. Sunny 3 bedrooms, 2 bathrooms with a full en suite. Heated towel rails, ceiling fans in bedrooms. Main bedroom has double doors leading onto a low maintenance garden and irrigation system. 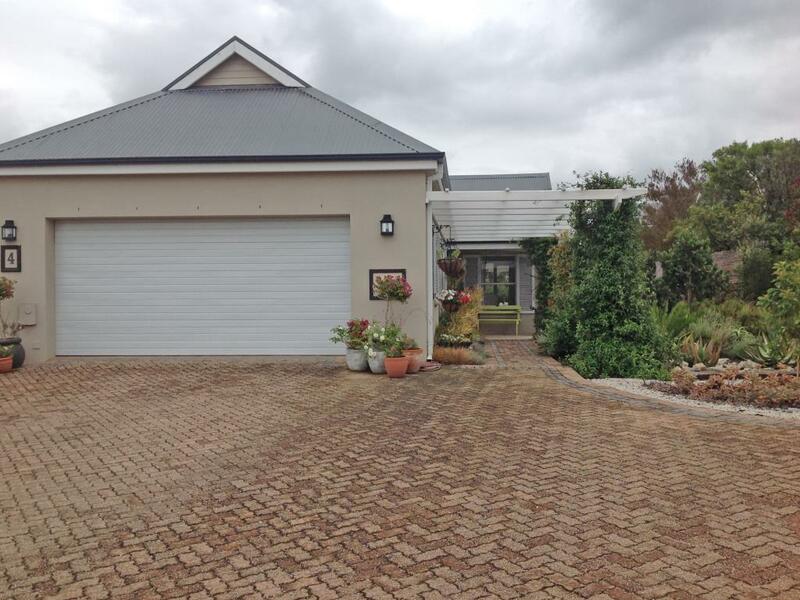 Knysna Lifestyle Estate has magnificent views of the Knysna lagoon and Heads and mountains. Knysna town is a short drive with shops and restaurants. It offers a Healthcare facility, clubhouse featuring a lounge, library, billiard room, communal bar, gym, heated swimming pool and sauna.